In this world of advanced technology, only a few does not know Google. Starting out as a search engine back in 1998, Google has grown to become a large company that specializes in Internet-related products and services. Around 13 years later, Google launched Google+, a social networking Web site that carries substantial weight in terms of search engine optimization. Since then, Google Plus has started to grow steadily but surely. 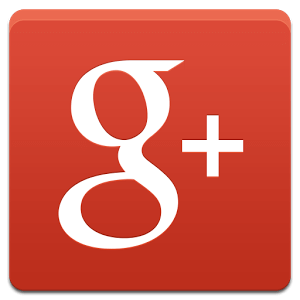 Google+ is not just for individuals. Any personality, including business could open up their accounts with this social networking site. Why should businesses sign up with it? You might be already aware of the so-called “Internet marketing.” This refers to the activity wherein a business tries to market and sell its products and/or services through the Internet. While Web sites are still a good idea to peddle products and/or services on the Internet, reaching out to potential customers are much easier when done on social networking sites. Popular social networking sites include Facebook and Google’s own Google+. Among social networking sites, Facebook could be considered as the sovereign one. G+ may just admit that it might not surpass Facebook on the number of users, but it could at least prove it could be better in terms of social marketing. Why is that so? Remember that the social networking site is a Google product — it is very integrated into the system. Of course, Google would not forsake its own product. Since the site boasts of neat integration with Google, it would be easier to share content across all the company’s products. Likewise, it is very well integrated to various other tools, thus allowing users to easily share as well as manage content across all Google services. Using this logic, we could assume that Google Plus could be a better platform for marketing your business. Google+, just like Facebook, allows the promotion of a certain product or service though the users’ posts – texts, links, pictures and video. The main difference between the two social networking giants is that former carries the ‘Circles, which allows users to group people either by relationship or by category. For instance, a user could group contacts according to suppliers, customers or target consumers. Doing this allows a user to target content much easier than in other social networking sites. A user could post specific content to particular circles that are distinct to the business. There is, however, more that Google+ can offer its users. As indicated earlier, this social networking site is a Google product. If a company is doing some search engine optimizations on your Plus profile, it would soon find out that its content gets higher rankings than on other social networking sites. Why? This is simply because Google indexes Plus content in the same manner that it indexes Web pages. Content in Plus would be searchable and appears higher in the search rankings than the same content in other social media site like Facebook. Join related Google+ communities. This social networking site is filled with a number of communities; each could be comprised of users have the same or similar interests. Try joining a community which interest could be related to the business, the product or the service. Try to find out when is the best time to post. The best time to post is usually when your target audiences are accessing their accounts. A user can achieve this task by using Timing+, an online tool that analyzes the last 100 posts to determine your best posting time. Use Picasa for related pictures. Picasa allows users to share uploaded images on Plus. If you don’t have a Picasa account, you don’t have to worry – you’re already signed up when you joined Google+. Manuela is an avid reader-writer-mother living in London. While caring for her two kids, she still finds enough to read materials covering different subjects like electronic engineering research topics.